Hi everyone! I have the February 2018 Quilters Candy Box Un-boxing video for you today. I don’t know why but I always love making these and watching other unboxing videos! 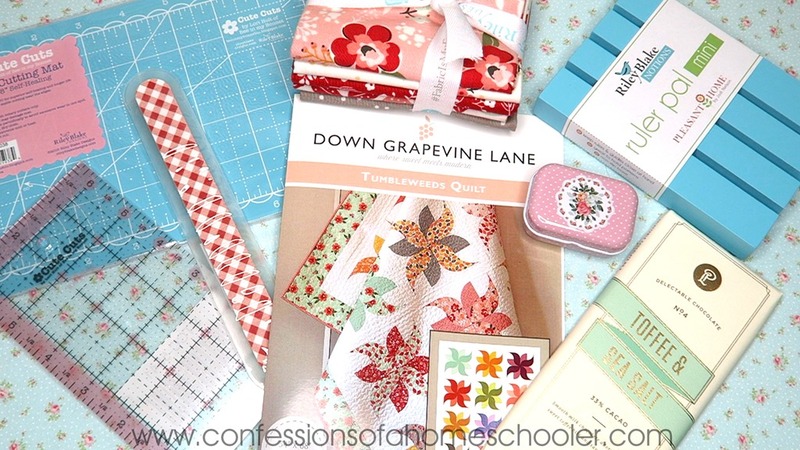 If you’re looking for a monthly sewing/quilting subscription box, this is definitely a fun one! The boxes are $46.95/month (plus shipping). I think they’re a great option for new sewers/quilters as well as more experienced sewers as well. The boxes are always unique and include fun fabric, notions, patterns, and of course a yummy treat! The boxes ship around the 15th of each month, so make sure to sign up before the 11th if you’d like to get in on the next box. If you’d like to get an idea of what they’ve put in past boxes, you can see them all here! AND…If you post a picture of your box with the #quilterscandybox you can be entered to win your next box free! Make sure to check out Quilters Candy Box instagram to see sneak peaks and goodies! Ready to see what’s inside the February 2018 box? 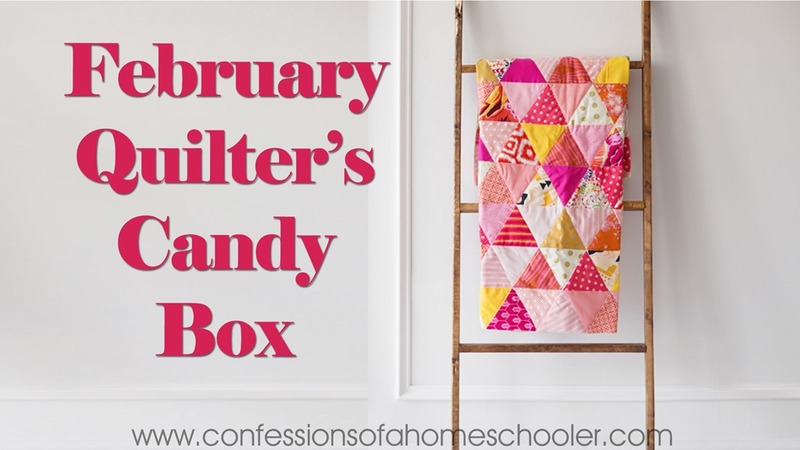 Watch my February 2018 Quilter’s Candy Box Unboxing video here!